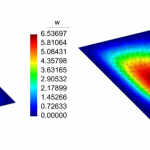 Over the past two decades, meshfree methods have undergone significant development as a numerical tool to solve partial differential equations (PDEs). In contrast to finite elements, the basis functions in meshfree methods are smooth (nonpolynomial functions), and they do not rely on an underlying mesh structure for their construction. 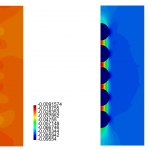 These features render meshfree methods to be particularly appealing for higher-order PDEs and for large deformation simulations of solid continua. 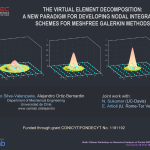 However, a deficiency that still persists in meshfree Galerkin methods is the inaccuracies in numerical integration, which affects the consistency and stability of the method. Several previous contributions have tackled the issue of integration errors with an eye on consistency, but without explicitly ensuring stability. 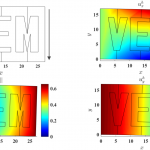 In this paper, we draw on the recently proposed virtual element method, to present a formulation that guarantees both the consistency and stability of the approximate bilinear form. We adopt maximum-entropy meshfree basis functions, but other meshfree basis functions can also be used within this framework. 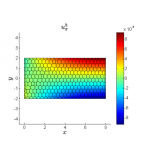 Numerical results for several two- and three-dimensional elliptic (Poisson and linear elastostatic) boundary-value problems that demonstrate the effectiveness of the proposed formulation are presented. Keywords: meshfree Galerkin methods, maximum-entropy approximants, numerical integration, virtual element method, patch test, stability. NOTICE: this is the author’s version of a work that was accepted for publication. Changes resulting from the publishing process, such as peer review, editing, corrections, structural formatting, and other quality control mechanisms may not be reflected in this document.